Groundbreaking versatility. When it comes to the implements you add to your arsenal, versatility is always a key feature. These disk harrows are designed with large homes, homesteads, small farms and nurseries in mind. 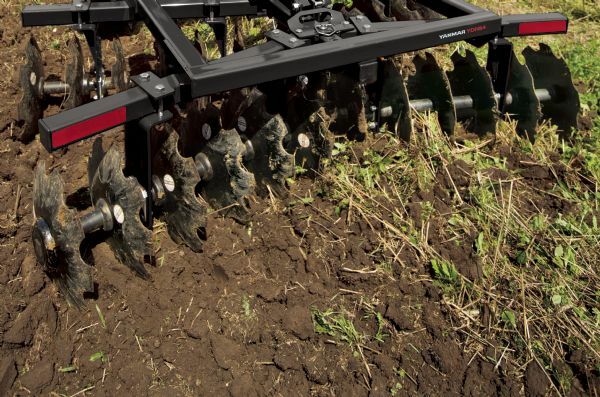 From primary tillage, gardening and food plots to firebreaks and weed control, there’s no faster way to make you and your tractor more productive. These rugged 6- and 7-disc harrows open and break up the soil for planting, seeding or landscaping applications.